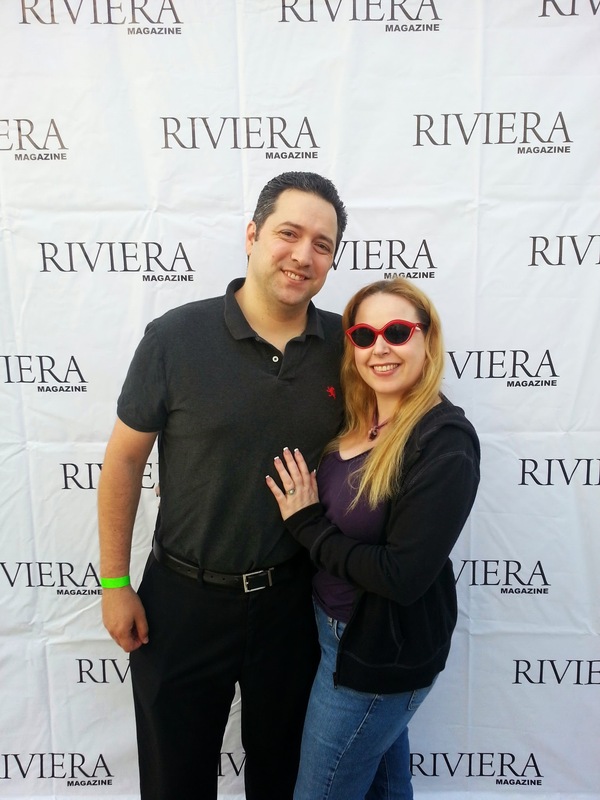 The Modern Luxury Riviera Orange County Magazine is happy to present their annual To Live & Dine event! 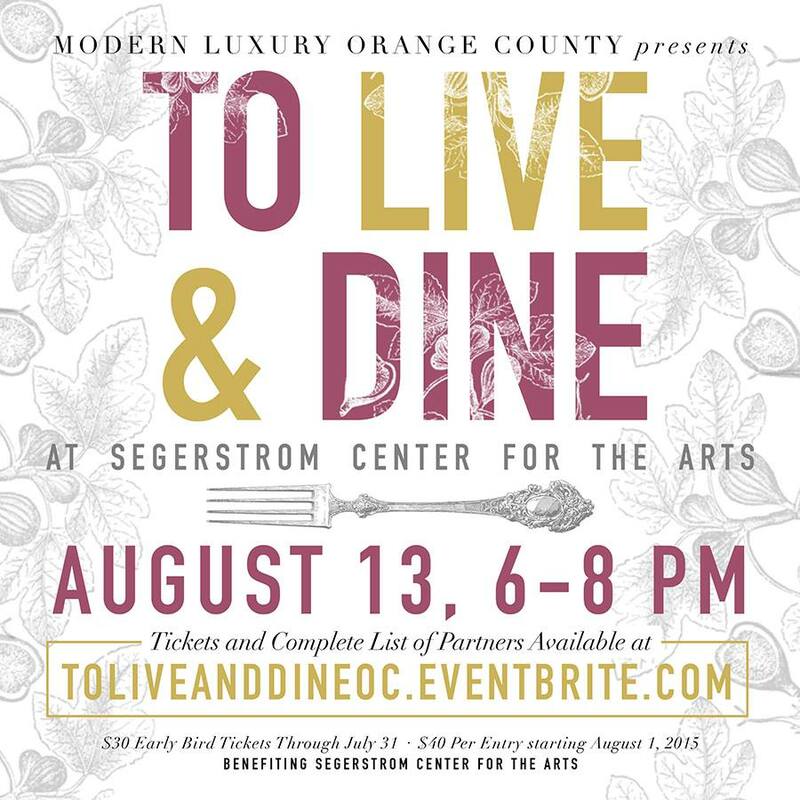 The event will take place at Segerstrom Center for the Arts in Costa Mesa for an evening of delicious food, drinks, and fun from top restaurants throughout the Orange County area this Thursday, August 13th from 6-8pm. At the event, attendees will have the opportunity to enjoy a variety of culinary treats from some of the best restaurants in Orange County, There will be signature sips and bites along with Special Acrobatic Performances by Julie Leigh, Joseph O’Mara and Kayvon Afsarifard . Ticket proceeds to go to benefit Segerstrom Center for the Arts. Modern Luxury Riviera Orange County Magazine is a premier luxury magazine that enjoys celebrating the best of OC lifestyle, fashion trends, travel destinations, events and more! 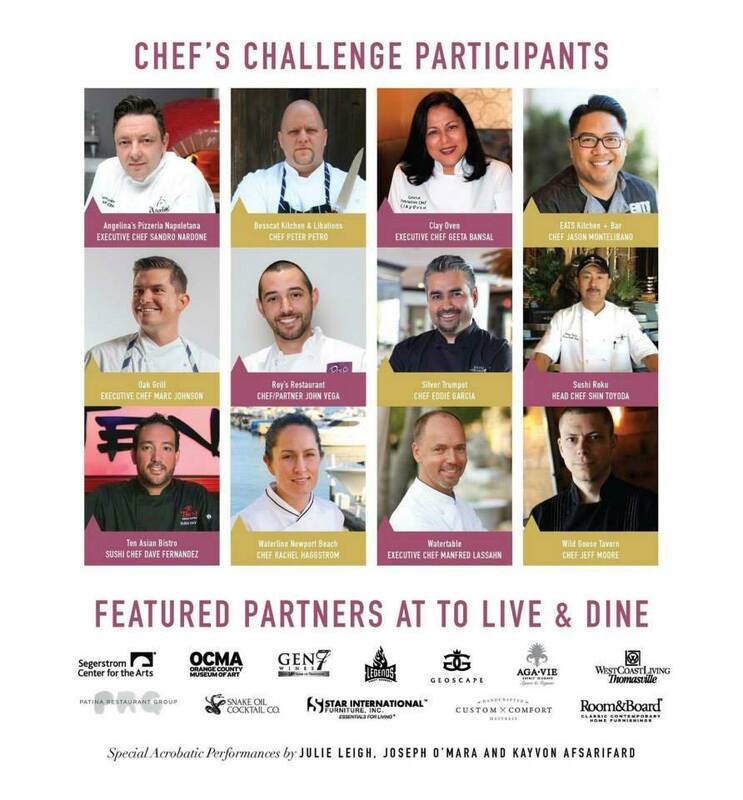 Hope to see you at the Live and Dine event this year at Segerstrom Center for the Arts. I had a blast last time I attended in 2013. See my photos throughout this article to see just what an awesome event this is! Come say hello if you see me!